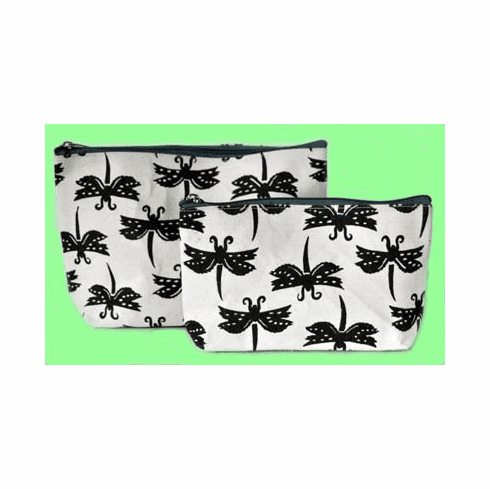 Dragonfly Zip Bag Duo, Set of 2 - Heavy duty cotton canvas with silk screened dragonflies using AZO free dyes. This Dragonfly Zip Bag Duo with the two sizes and secure zipper closure offers endless uses, from cosmetics to a carrying a wet swimsuit home from the pool. Large 7" high, 10-1/2" wide, 3" gusset, Small 5" high, 9" wide, 2"gusset.